After Gamers Assembly all our players needed a calmer week to rest and focus on future competitions. Dofus players keep battling in DWS to qualify for the final to be held during DreamHack Tours. They lost against OV and now have to play their very best during next matches to reach the final. The Hearthstone team is unfortunately eliminated from Hearthstone Team League Season 2 due to its defeat 2-0 against Sector one in decider match. Fishou traveled to Lyon to take part in the second edition of Arcalan. He got past group stage easily with a 4 to 1 score. Then, he lost to Hypno in winner bracket and to MrClowny in loser bracket. Stephano managed to go pretty far in GO4 Europe, from Round of 128 to semifinal, where he lost against French Protoss DnS. Even if only one match was held this week, it was a very tense period for our League of Legends roster. We were facing Team LDLC Foxes in a tie-break for a spot in group stage of European Masters. After 2 LAN and 3 qualifiers we got indeed 1240 points, exactly the same amount as LDLC, so Riot decided to set-up a tie-break. GO won 2-1 and qualified for group stage of the European Masters while LDLC will have to go through the play-in. Everybody is now focused on this group stage which begins April 14th. 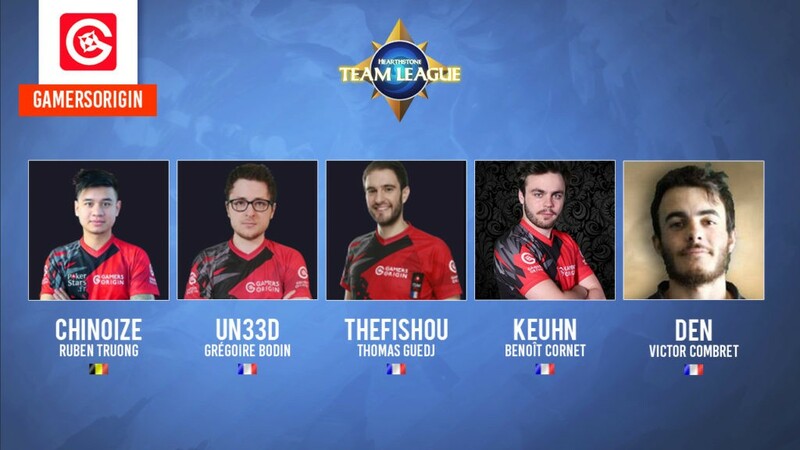 As first French seed, GO will play in Group 1 alongside with Penguins, Illuminar Gaming and Ad Hoc Gaming. Only the top three rosters will qualify for the single-elimination bracket. If GO finishes first of its group, it will be granted a bye and will directly play in quarterfinals. Otherwise, with a top 2 or 3, we will enter the bracket in Round of 16. Riot new competition is raising high expectations and GamersOrigin will do its very best to shine and to claim another victory during the final on April 29th. It will be a tough adventure since the competition level is really high with opponents such as Millenium and LDLC from France or Bluerzor’s Movistar Riders, a former GO player. Top teams from Challenger Series will be there too, such as Origen. Xpeke’s organization is setting-up a top-level roster and are part of the favorites. Rendezvous in April 14th for our first matches of European importance #GOWIN !